If you're an existing When I Work customer, you already know how much technology can help streamline inefficient HR processes. What When I Work did for your time tracking and scheduling, GoCo will do for your employee onboarding and off-boarding, document management, time off tracking, performance management, compliance, and benefits administration. Click here for the overview of how it all works. 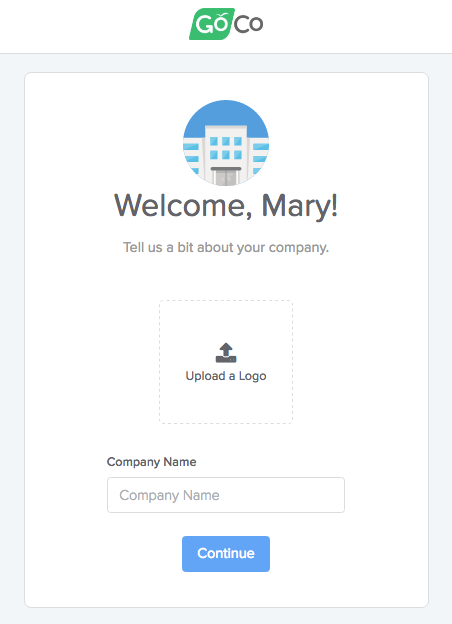 Changes you make on GoCo will be automatically updated in When I Work so you only need to update your team's info in one place. But since it can get confusing if you update your team's info in 2 independent systems, we won't carry over changes in When I Work to GoCo so that everything stays streamlined. 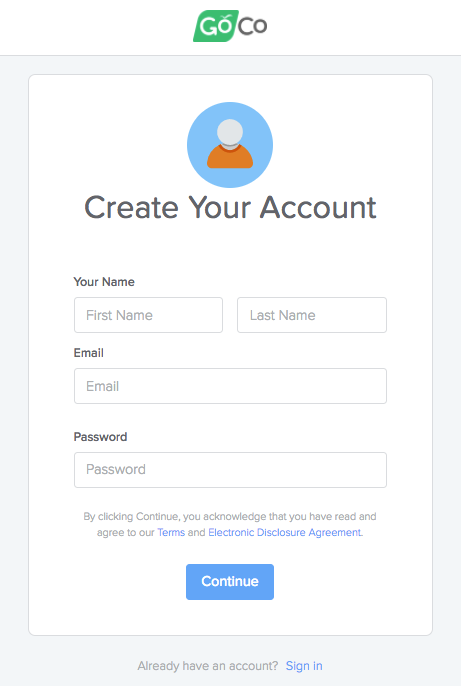 Already have an existing GoCo account? Click here. 3. 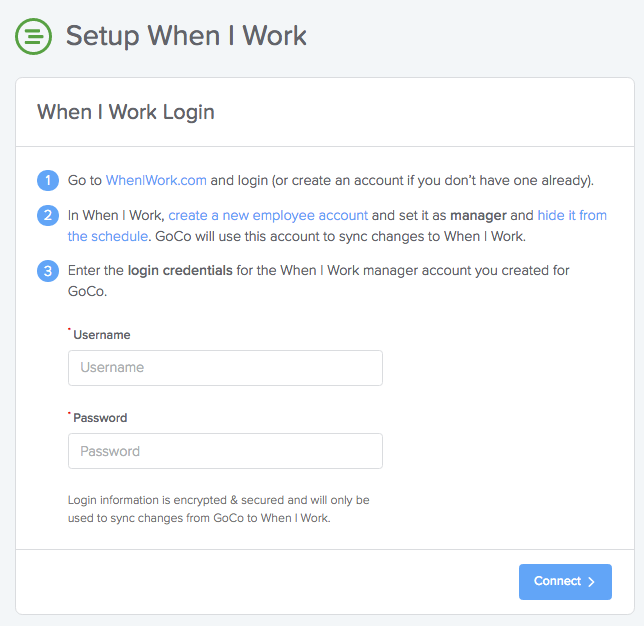 Now, we just need to link your GoCo account to your When I Work account. To do that, you'll need to add a new employee on your When I Work account and hide it from the schedule. 5. You're done! Your team will get an email to join GoCo. 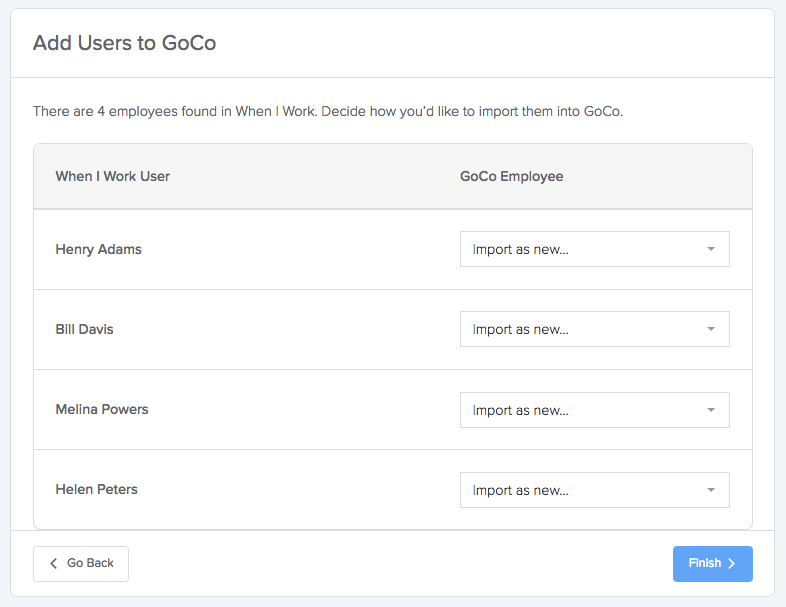 From here, you'll want to use GoCo to manage employee onboarding and offboarding, keep your company documents organized, track time off, and keep tabs on your teams performance. But to see the real power of GoCo, you have to connect it with your benefits and payroll. Schedule a demo now to learn more. Have additional questions about the GoCo + When I Work integration? Check out our other FAQ or Just email us at help@goco.io.